Raise a Green Dog! 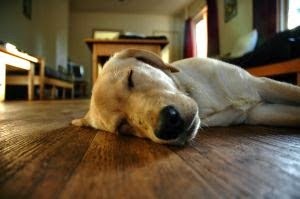 : Lumber Liquidators' Chinese-made laminate flooring may be dangerous for your dog. Lumber Liquidators' Chinese-made laminate flooring may be dangerous for your dog. Early in March, an investigative report by 60 Minutes found that Lumber Liquidators' Chinese-made laminate flooring contains amounts of toxic formaldehyde that may not meet health and safety standards. "laminate flooring from Home Depot and Lowes had acceptable levels of formaldehyde, as did Lumber Liquidators American-made laminates, every single sample of Chinese-made laminate flooring from Lumber Liquidators failed to meet California formaldehyde emissions standards. The average level in Lumber Liquidators products that we found was over six to seven times above the state standard for formaldehyde. And we found some that were close to 20 times above the level that's allowed to be sold." In response, Lumber Liquidators has offered to send formaldehyde test kits to anyone that asks and meets the criteria of potentially having an affected product. Consumers can request test kits from their website (order number is required). 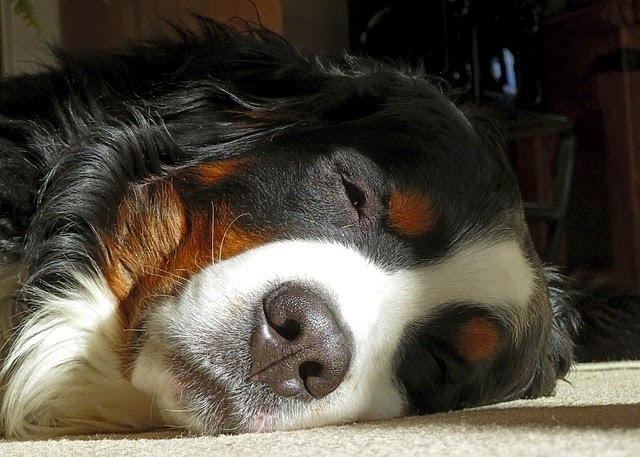 Back in 2009 we deeply investigated the multitude of flooring options available on the market, and what affect they may have on the health of your green dog. 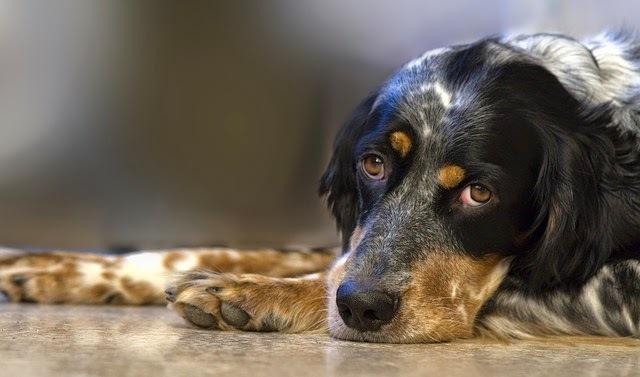 We found many common flooring options, including carpeting, laminate and vinyl may contain dangerous chemicals that can have dangerous health affects for your dog. Vinyl - Phthalates in vinyl flooring have shown in lab studies to disrupt reproductive systems, particularly in male offspring, as well as contribute to respiratory problems in children. Vinyl, also known as polyvinyl chloride or PVC, creates toxic byproducts such as dioxin, a potent carcinogen during production and disposal. Carpets - From the formaldehyde (a known carcinogen) in the backing, to the 'easy-to-clean' chemical treatments of stain protectants, anti-bacterial and flame retardants (Polybrominated diphenylethers (PBDEs) linked to cancer, reproductive and endocrine system problems) baths, carpets pose a considerable health risk. Laminate floor - Some pressed wood floor can emit dangerous concentrations of formaldehyde (a known carcinogen (cancer-causing substance)) which has been linked to several cancers in people, including nasopharyngeal cancer and leukemia. And, inexpensive, engineered wood products contain adhesives that emit hydrocarbons. 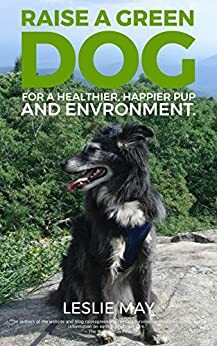 Healthier options for you and your dog are available. They may be a little more expensive, but they will last for years and assure you a healthier environment for you and your dog. These healthier options include linoleum, untreated and reclaimed wood finished with a healthier protentant, cork, bamboo, and stone and ceramic if a healthier adhesive is used. If you are contemplating building a new home or changing the flooring in your present home, please read our blog post about eco-friendly, healthier and dog-friendly flooring options. Unfortunately I installed laminate flooring in nearly every room in my house when I bought it in 2013. This flooring was from Lumber Liquidators and is on the list of products with formaldehyde six to seen times the recommended limit. I wasn't aware of the problems with the flooring until I started shopping for new flooring for my living room and kitchen early this year. While we have replaced the flooring in those areas, all the bedrooms still contain the older laminate. This January, I lost my 12 year old Italian Greyhound to cancer. A month later, I lost my 7 year old Italian Greyhound to the same type of cancer. I'm fearful for my third Italian that lived with me in the house as I installed the flooring myself. I can't help but wonder if the flooring had anything to do with their cancer.